Today I made Paul’s favorite treat, cinnamon rolls. I thought it might ease his recovery along and also make a fun dessert for our dinner guests tonight, Paul’s Costa Rica Manager – Guillermo and his girlfriend Angie. It was a lot of fun having visitors, it made it feel like we were back home on a normal Sunday. I needed that after a day of a Spanish-only church block. It was hard to sit still and not know what was being said for 3 hours. I did cop out and attend Lexi’s nursery class instead of my classes. 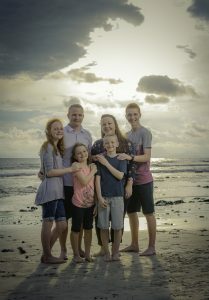 She was having a hard time but the other 3 had English speaking members/missionaries that were their teachers, this made it easy to leave them. Though they still taught the lessons in Spanish, they made sure to keep the kids in the loop and make it fun for them! 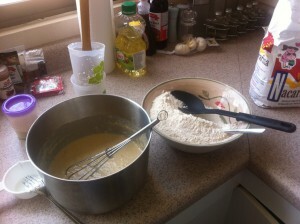 So, here are a few pictures of me making foods we love from scratch, instead of using the products we all love: Kitchen-aide, Bosch, a dishwasher, a double oven, multiple measuring cups both liquid and dry and all the towels or storage/mixing containers I could ever need. I MISS MY KITCHEN!! I will be so happy to be home and cook anything I want without having to go to the store. I actually have a freakin’ store in my own home. I NEVER believed it when Paul would say so, but NOW I KNOW! First let’s talk about my sink. Here it is, so cute, so little, so WITHOUT a disposal. This is a normal fork. 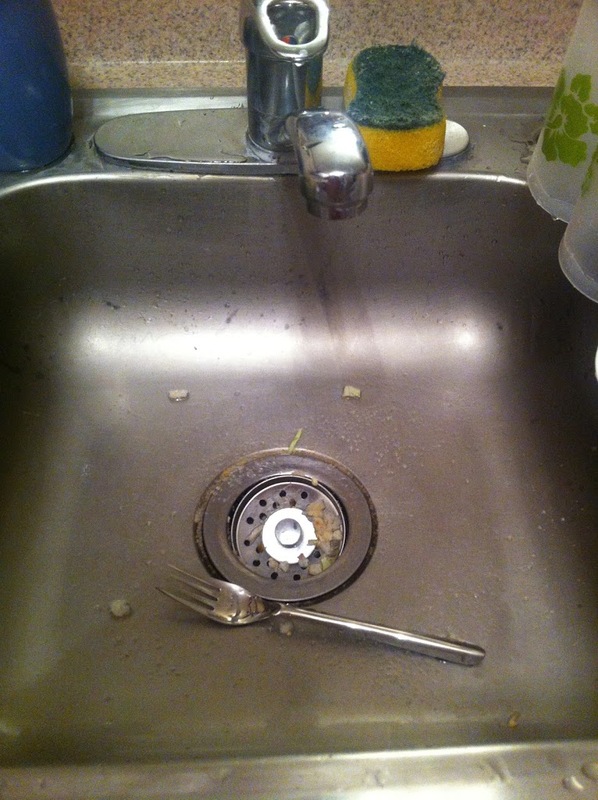 Two forks across and two forks high is the size of my sink. Yes, that is SMALL! 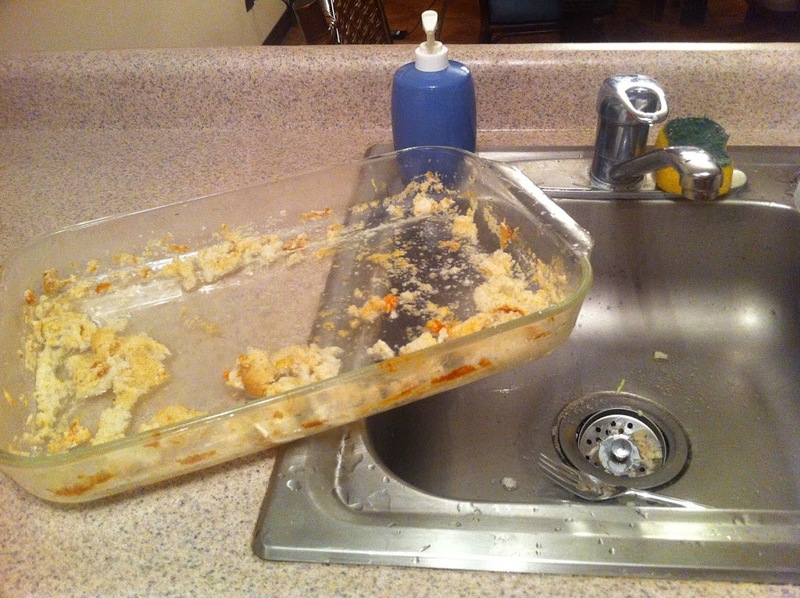 Cleaning this pan of deep dish pizza was DISGUSTING! You soak the food but the scraps can’t go down the drain. 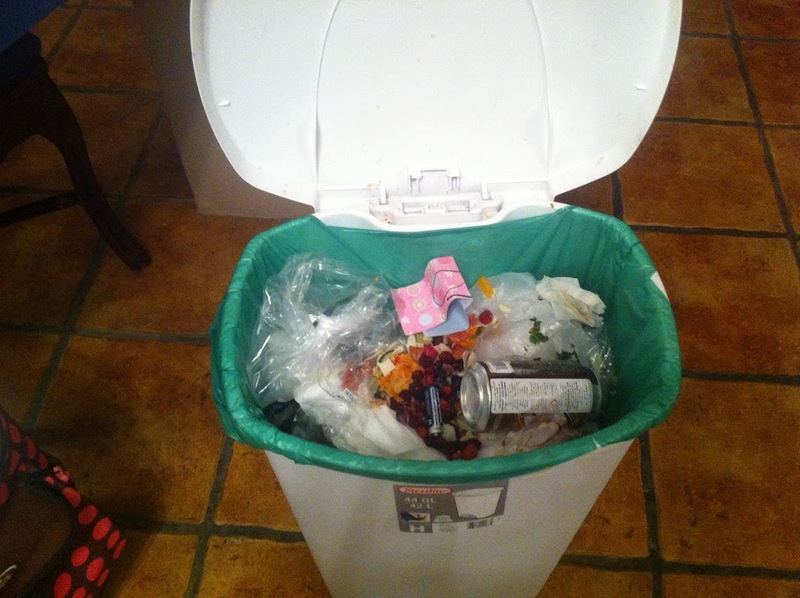 You have to scoop them out into the garbage, without any water or else it attracts flies and smells! Again, GROSS! 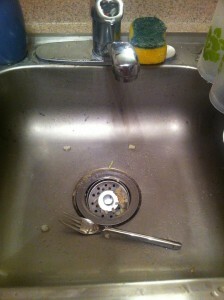 Then, due to the small size of the sink, I have loads of dishes to wash. This is batch number 5 from dinner tonight. Cooking from scratch, for me, meant not using a box mix. Now it means using just your hands. NO electric mixers, processors, Pampered Chef products (miss those so much), dishwashers, double ovens or even basic kitchen utensils like a rolling pin, mallet, multiple cutting boards, assorted serving utensils, etc. The beginning steps for making cinnamon rolls. I am grateful to do it this way at least once because I have never seen what dough looks like in different stages. I have learned to make the dough in my bread maker or Kitchen-aide/Bosch. 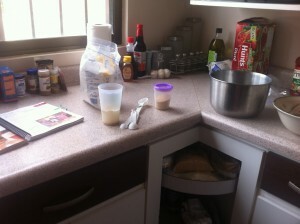 But doing it by hand I am working my muscles and also hands to get it the right consistency. Pretty cool experience I must say! Humidity is killing me here. 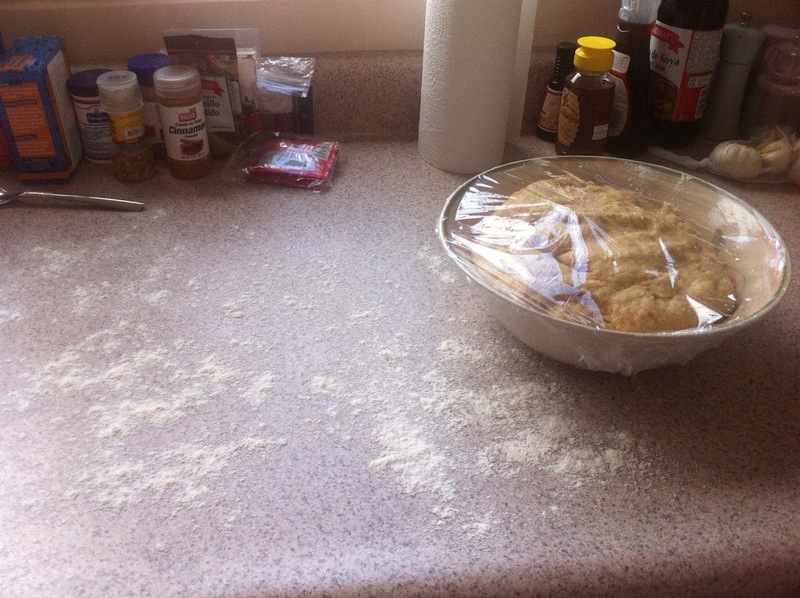 This is all my dough rose in 2 hours. What? Oh well, must move on! 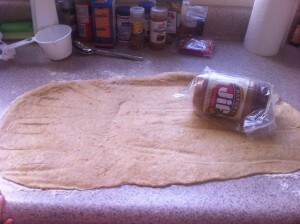 Thanks to my friend Maggie, I got the idea to use this Jif Jar, covered in a baggie, to roll out my dough. Not bad. The plastic jar was soft enough not to tear the dough but strong enough I could push the dough out flat. 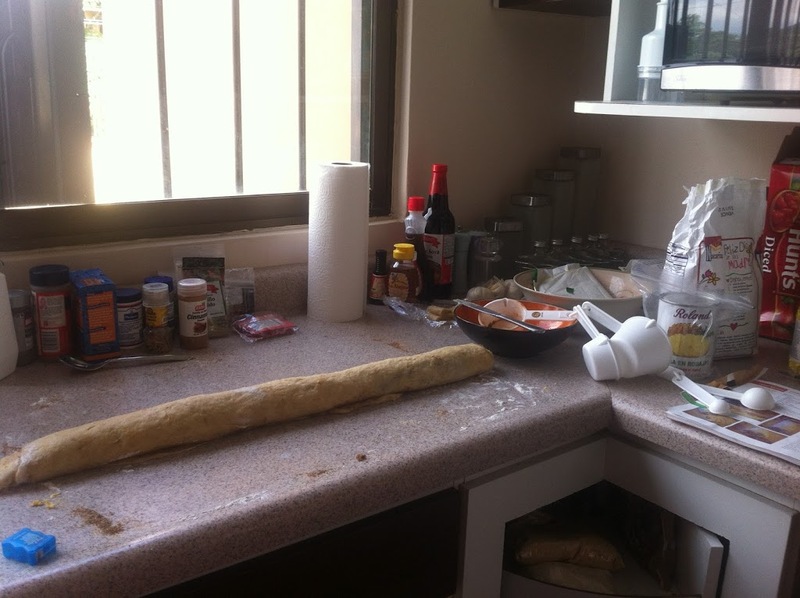 It doesn’t look as smooth as what a rolling pin can do, but who cares, it’s cinnamon rolls. Here is the cinnamon roll snake. Thank Heavens my oldest daughter packed dental floss instead of flossers. I used it to cut my snake into rolls. 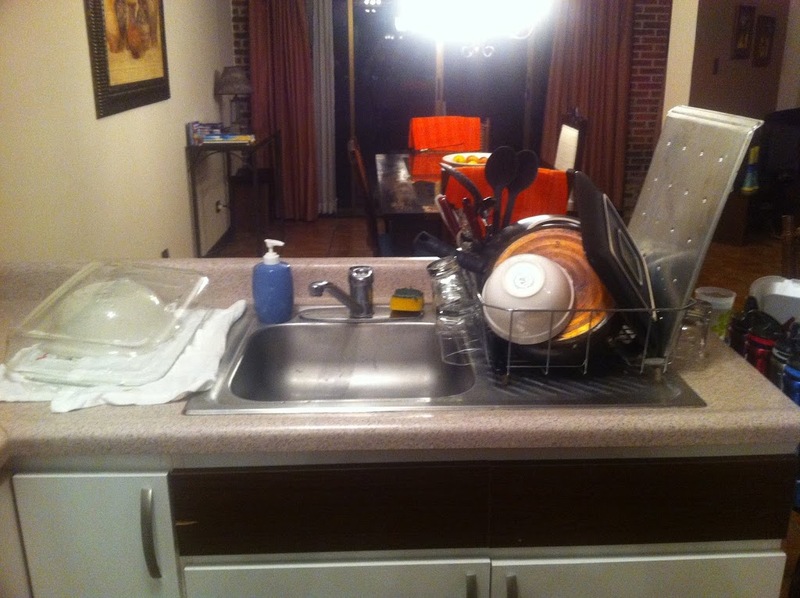 Right about now I am REALLY MISSING my dishwasher and wide counter-tops at home. The counter is so skinny here, I ran out of room in just two or three steps. I was also trying to cook dinner at the same time. Quite difficult to do in this kitchen. And the finished product. Sorry to only show you 2 out of the 16 I made, but the were enjoyed GREATLY by my husband, 4 children and our 2 guests. They each had seconds, even though they seemed doughier than normal. Got to love humidity. This is what Paul is taking to work tomorrow. It does make me feel proud that I could pull off homemade cinnamon rolls the first week in a foreign country using ingredients I had to search to find in 4 different stores. Was it worth it? 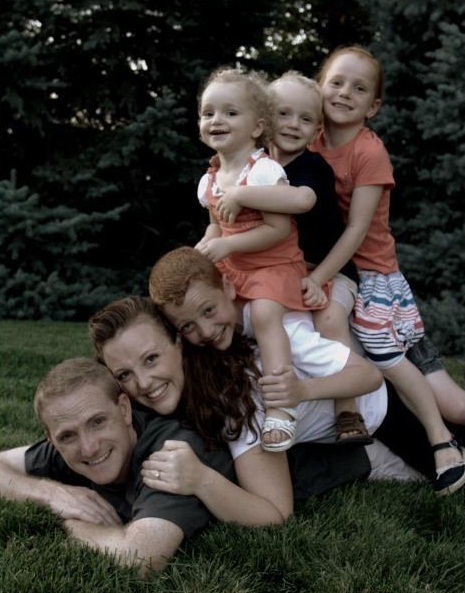 Ask my smiling family’s faces! 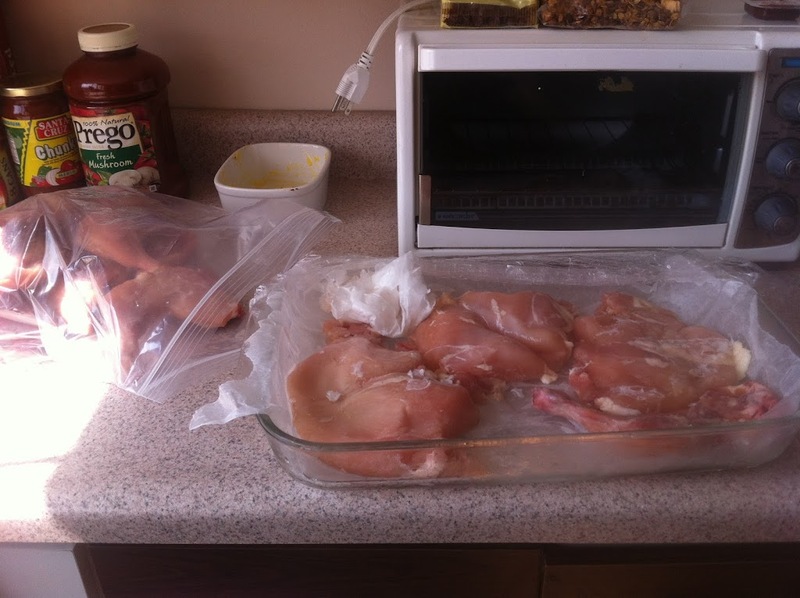 Now onto freezing your own chicken. The meat is so expensive, so I can’t afford to waste any of it. So to be safe, I decided to freeze my own (they don’t offer frozen chicken here). It took 2 days but I did it. 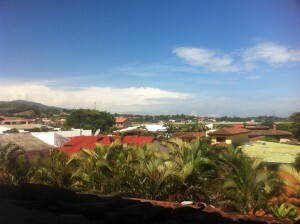 I luckily brought jumbo plastic bags with me to Costa Rica and filled them full of chicken. 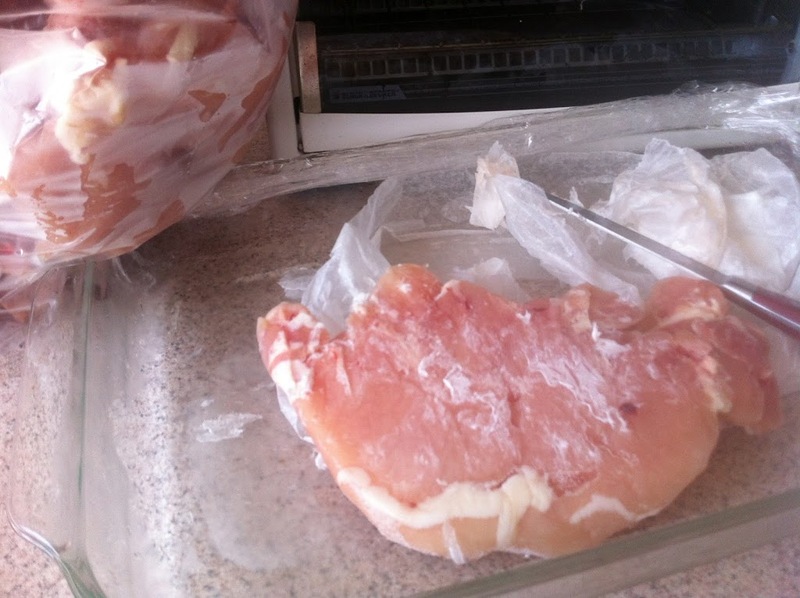 Just be careful how you freeze your chicken. I used parchment/wax paper at first but it stuck to the chicken. Yuck! The next batch I tried plastic wrap. It worked better but I still had a hard time breaking the chicken apart. I placed them too closely together. I shouldn’t have rushed it but had no choice. I didn’t want raw chicken sitting in my fridge full of fresh produce. That freaks me out! But now I have 2 bags of frozen chicken! I am sure I will have many more adventures in the next 3 weeks to share with you as I learn to cook for my family in Costa Rica. I am getting the hang of it more each day and I think I might even let my kids wash a few dishes for me, but not the breakables. All in all, I am having a fun experience and it is something that is helping me grow and learn on so many levels. 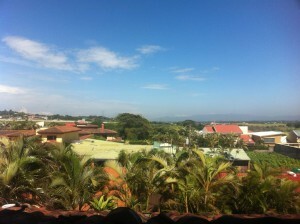 And with a view like this to look at every morning, how can I only complain about prices and cooking struggles. Look at those views! Looking out my bedroom window, to the left. Looking out my bedroom window, to the right. I just had to laugh. We had the same type of experience when we first moved to Peru so I know what you are going through. Keep it up. If you can’t really laugh about it right now, you will later. Wow! What an adventure:) You’re so awesome to be so creative and flexible in making everything work. 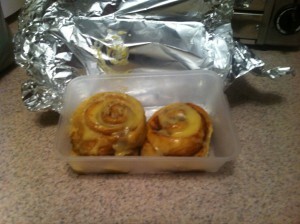 Those cinnamon rolls look amazing, but I’m sure it really help you appreciate how easy they will be when you get home! I hope you guys have a marvelous time and enjoy this amazing experience- the good and the bad and the weird. Love you guys and love all the pictures and descriptions! Thanks you two! That’s means a lot coming from the both of you. I view you both as pioneers, Mom – South America w/ 8 kids and Rachel – how many times have you moved? You both have been on my mind a lot this last week. I have wondered how you have handle things, from a woman’s/wife’s point of view. We move for the men’s jobs, right? It is so hard for me to put into words how difficult this is for me. I try to explain it to Paul but it just comes out as whining. I will just keep pluggin’ along, hoping that I find some kind of peace or answers to all this. Thanks so much for your support! Next Post New foods the Kids love!